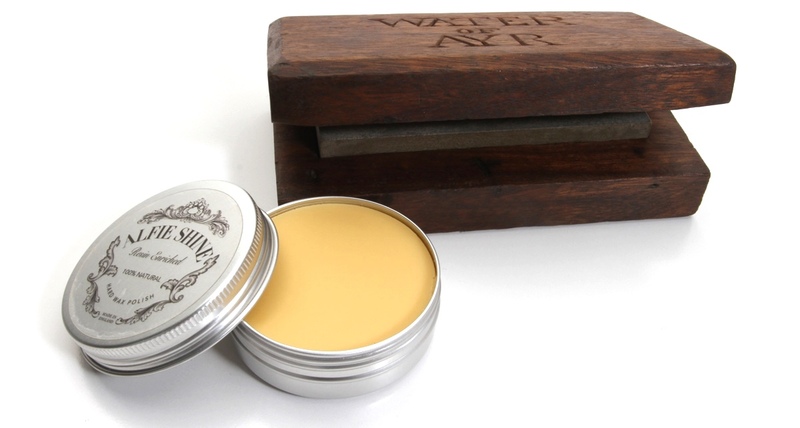 Alfie Shine is a solvent free wax and resin based polish now available on the market thanks to Jim Hendrix in the UK after developing it by following an old 17th century recipe from an instrument maker's notes. 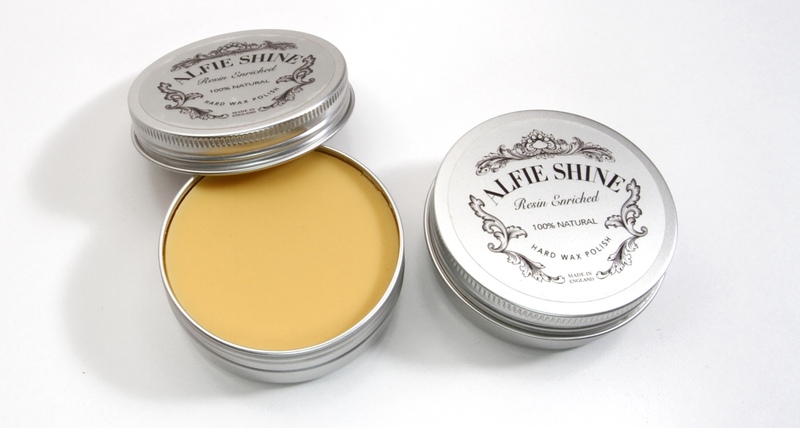 After some experimentation to get the ingredient proportions right Alfie Shine was born! Named after Jim's wonderful and loyal shop dog Alfie. Some of the resin ingredients used are Copal, Frankincence and Myrrh are sourced directly from the middle east to obtain the highest purity and quality ingredients. The one occasion on the internet where Smell-o-Vision would be good, yet it doesn't exist... This stuff is amazing. Many of the wax polishes available today are soft paste waxes or creams – bulked out with solvents to increase their volume or to dissolve the waxes. 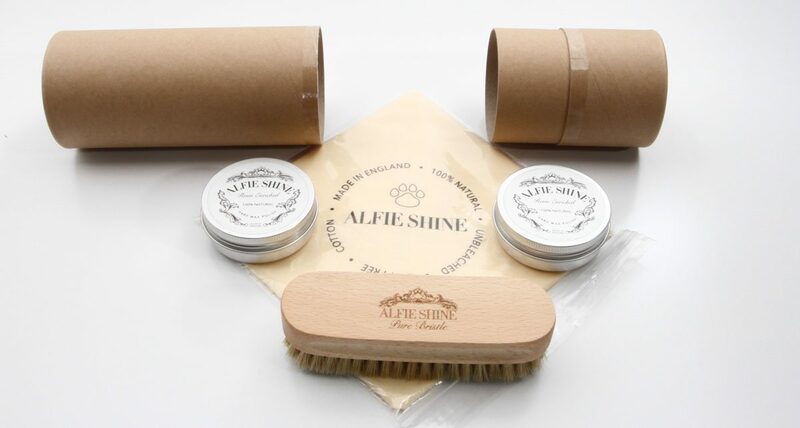 Alfie Shine doesn’t contain any solvents at all and it began as an historical research project rather than a commercial product and it is only ever made in the UK by following the original recipe. 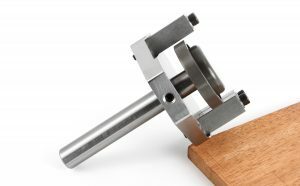 It isn't an instant route to a glossy finish. 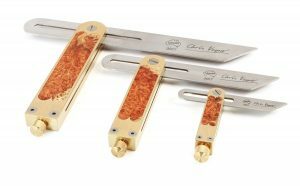 A resin polish is all about building up depth over time. The wax nourishes the timber and absorbs while leaving small amounts of resin on the surface that will build up over time with reapplication. The longer left between applications the better but at least 2-3 days is good. Afterwards perhaps 2-3 times a year will maintain and build further depth if desired. 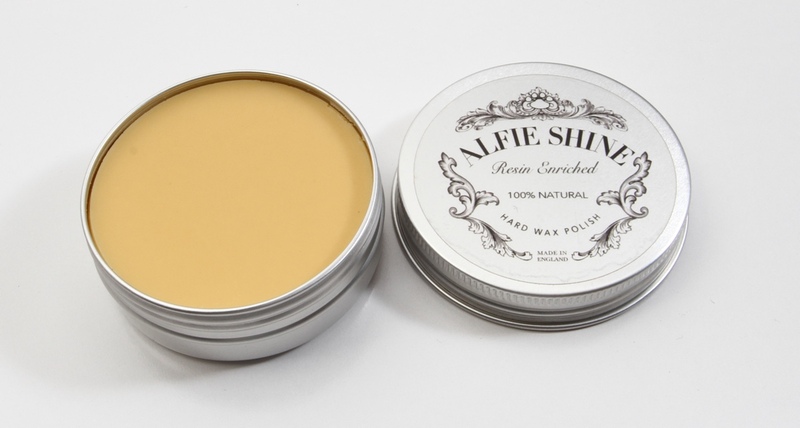 Alfie Shine is very different to applying conventional paste waxes. A little goes a long way. Applied in thin coats with a soft cloth or a clean shoe brush for larger surfaces, Alfie Shine penetrates and nourishes dry wood. With successive applications, the resins gradually build into a resilient clear protective surface that enhances the figure of the timber without degrading patina. This is old school finishing, there are no dryers or accelerants, so you do need to leave two or three days between applications to allow everything to harden up, but if you keep going, it will eventually build into an incredibly deep, rich and subtle gloss finish. 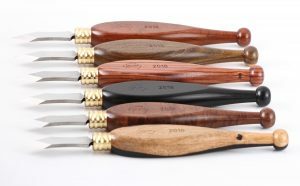 For use on clean new timber or for restoring and preserving patina on antique items. 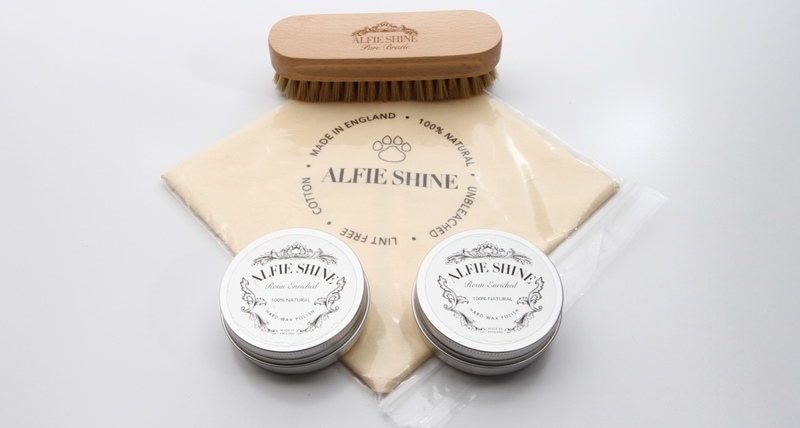 The polishing kit contains TWO 60g tins of Alfie Shine polish, one lint free polishing cloth and one Alfie Shine brush for applying the polish. All presented in a very nice cardboard tube for transport and storage.